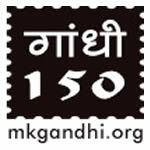 Daily Gandhi Quiz : Play & Win Books & Related items EVERY MONTH. March 2019 Monthly Quiz Winner's and Top Scorers Names Announced... Login to View.. Please enter the email address you provided when you have registered with this site.